Are you from the county of Oxfordshire, and looking for a way to transform your existing staircase into the masterpiece that you have always dreamt of? Then Pear Stairs is here to make this dream into reality. With a wide range of beautifully crafted stair parts, Pear Stairs is one of the major suppliers in Britain. 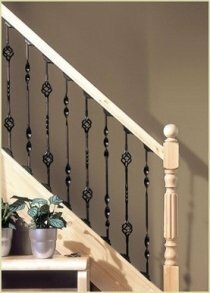 We supply parts including handrails, spindles, newel posts, newel caps, stringers, risers, treads, balustrades, wall brackets and handrail end caps, all at affordable prices. The balustrade is the support rail on one or two sides of a stairway that includes handrail(s), spindles, base rail(s) and newel posts. Pear Stairs can inspire you and give you the balustrade to brings style and a unique design to the centre of your home. Our experts at Pear Stairs know what makes a flawless stairway. The spindles are the most important part of the balustrade; they can either make or ruin a staircase. The spindles that you choose can provide your staircase with a contemporary style. 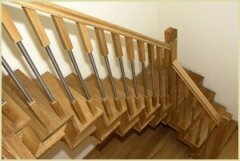 With a vast amount of wooden and metal spindles available through the Pear Stairs online shop, we can help give your stairway the look it needs. The city of Oxford in Oxfordshire is the home to over 1,500 listed buildings. These listed buildings bring architectural and historic importance to the city. They include Wren's Sheldonian Theatre, Gibb's Radcliffe Camera and Hawksmoor's All Souls. So if you are looking to add architectural design to your own Oxfordshire home, then why not let Pear Stairs make history, and create the perfect balustrade and staircase that you have always wanted. Our aim is to provide the people of Oxfordshire with top notch customer service and high quality stair parts. So whether it is a job that you have been meaning to do, or a completely new project, let Pear Stairs lead the way and inspire and help you create that dream staircase without the hard work. With our unbeatable prices and outstanding delivery service, you would be silly not to call or visit the Pear Stairs online shop. So do not wait, liven up your Oxfordshire home now!